Mumbai: NCP chief Sharad Pawar's grandnephew Parth and senior leader Chhagan Bhujbal's nephew Sameer figure in the second list of five candidates for next month's Lok Sabha poll, declared by the party on Friday. Parth, son of senior NCP leader and former Deputy Chief Minister Ajit Pawar, will be contesting from the Maval constituency. Parth's candidature follows Sharad Pawar stepping back from the poll arena from Madha seat to accommodate his grand-nephew in the list. The party also fielded Chhagan Bhujbal's nephew Sameer Bhujbal (Nashik). Sameer was arrested by the Enforcement Directorate in a case of money laundering. Dr Amol Kolhe, who played Chhatrapati Sambhaji on TV, also figures in the second list. Kolhe, who recently switched parties to join the NCP, after quitting the Shiv Sena, will contest from Shirur. The list also includes Dhanraj Haribhau Mahale (Dindori) and Bajrang Sonawane (Beed). The party has so far not announced any candidate for the controversial Ahmednagar and Madha seats. 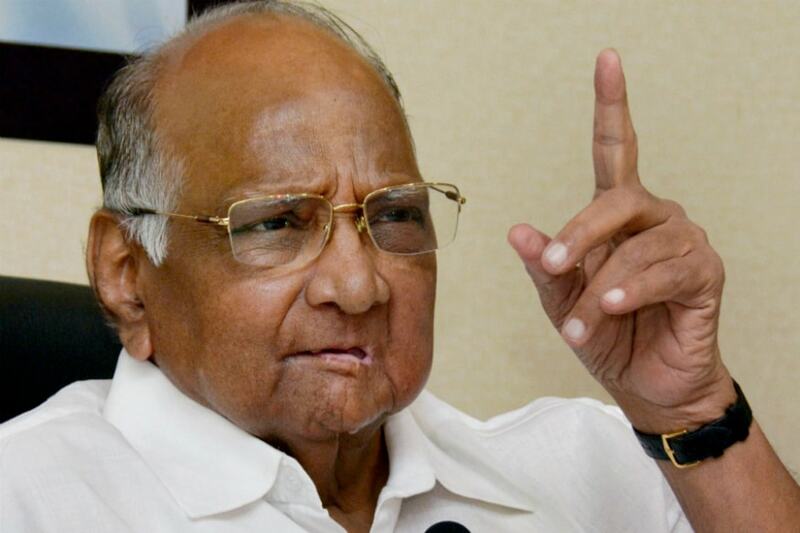 Pawar was expected to contest from Madha but recently declared he won't do so. In the first list of 12 candidates, declared Thursday, Sharad Pawar's daughter SupriyaSule was renominated from the family turf Baramati, which she represents in the outgoing Lok Sabha. Prominent among others named in the first list were former Irrigation Minister Sunil Tatkare from Raigad, former state minister Gulabrao Devkar from Jalgaon, Udyanraje Bhosale from Satara, Dhananjay Mhadik from Kolhapur, Sanjay Dina Patil (Mumbai North East) and Anand Paranjpe from Thane. Others in the list included Rajendra Shingane from Buldhana, Rajesh Vitekar from Parbhani and Babaji Balaram Patil from the Kalyan seat. The NCP has left the Hatkanangale seat for Swabhimani Shetkari Sanghatna chief Raju Shetti. The Pawar-led party has fielded Mohammad Faizal from Lakshadweep.